In the story of Something in the water Catherine Steadman came up with quite an unexpected comparison of running a marathon. The main character in her book is busy digging a grave for her husband who just got shot. 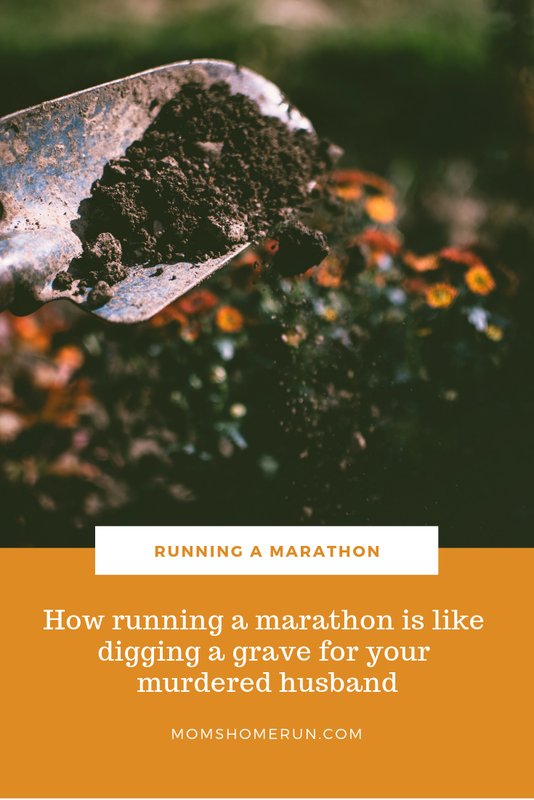 And she's comparing the process of digging a grave with running a marathon. I thought it was well done, even though it's a bit eh.... special. 'It's that halfway point in a marathon when the novelty has worn off and you've just got tot finish the joyless bloody thing. You've invested; you're all in. You've told all your friends you'ld do it, you made them pledge donations to some charitty or other, one you have only a vague passing connection to. They guiltily promised more money than they really wanted to give, feeling obligated because of some bike ride or other they might have done at university, the details of which they bore you with evert time they get drunk. I'm still talking about the marathon, stick with me. And then you went out every evening, on your own, shins throbbing, headphones in, building up miles, for this. So that you van fight yourself, fight with your body, right there, in that moment, in that stark moment, and see who wins. And no one but you is watching. And no one but you really cares. It's just you and yourself trying to survive. I think her description of running a marathon is well done. If you're interested in the book: it's a psychological thriller about a happy couple of newly weds who go on a honeymoon in Bora Bora. There they discover 'something in the water' which changes everything. 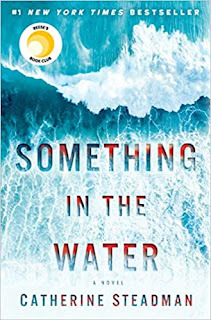 Something in the water is the debut novel of Catherine Steadman, and I think it's a great book. 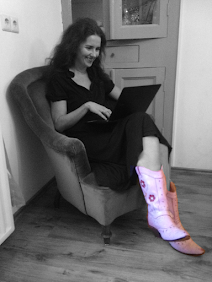 So well done Catherine! 'Don't miss any of my posts! Get yourself a free subscription, and you'll never have to worry about missing out!